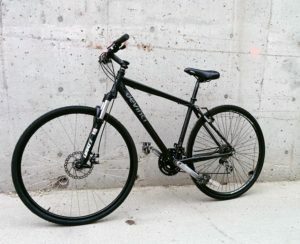 2018 Commuter Challenge Prize List! 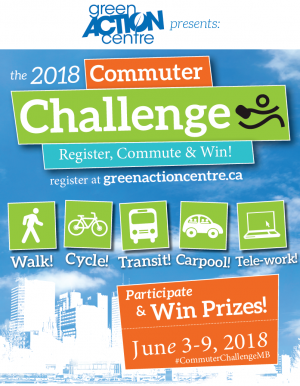 The 2018 Commuter challenge has ended! Click here for a full page of results and prize winners. There are lots of ways to win great prizes while you participate in the Commuter Challenge! Full details about prize categories can be found below. & there are even more ways to win below. Check it out! Visit our main page to get registered and remember to log your eco-KMs to be eligible to win these great prizes. Anyone who logs their green commutes during Commuter Challenge is eligible to win! Winners selected for some of these smaller prizes throughout the week-long event, and after all of the KMs are tallied. The last day to enter KMs after the challenge is June 15th. If you ride your bike during Commuter Challenge you will be eligible for these three prize packages. Want to learn more? See our blog on this special carpool contest! Commuter Challenge is about getting from A to B in the most sustainable way possible. Show us pictures of your fave paths, bike trails or carpool routes that you take AFTER the work commute is over, or that you take for fun using the #CommuterChallengeMB hashtag. Do you walk to after-work drinks? Bike to date night? Enjoy a leisurely bus ride to visit your pals? Be sure to make your post public so we can see them! Tag @Greenactionctr for added exposure. For every new workplace you recruit, both you and the new coordinator will be entered to win a 2-month Compost Winnipeg workplace pick-up service! Check out our Coordinators Corner for more details, recruitment form & a letter template to help you get the word out to new workplaces. ($160 Value!!) plus a chance to win one of two McNally Robinson gift cards! Additionally, the first FIVE new workplaces who sign up or recruit a new workplace through this referral process will be offered a complimentary workshop with Green Action Centre (a 150$ value!). Super pumped about all these prizes!! Thanks for the opportunity to earn prizes for something I’d be doing anyway. Learning how much fuel and co2 I saved on during the course of a week was pretty cool to! I’ll definitely be participating in the bike challenge coming up! To lessen our environmental footprint we moved from a home outside the city to the Exchange. We can walk to work and to the majority of social events we attend. We also went from vegetarian to vegan. Loving it all!! Very impressed with all your prizes! With It was a real pleasure to ride in to work. I actually saved 10 minutes one day due to all the traffic jams (construction etc)!